Note: Even if I am not a daytrader, there was a time when I often got calls from my bank like “we have a very interesting investment opportunity, only for you, for a limited time…”. After a couple calls I asked them to forget about me. 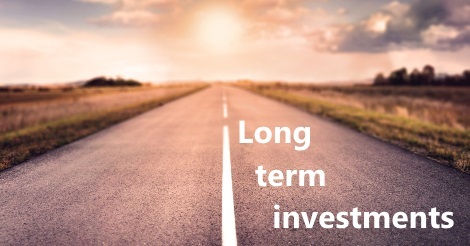 It is often said, that long term investments carry less risk than short term ones. To see if it is true, we have implemented a couple new chart-types – you can see some examples among the Dow Jones 10 year chart section with explanation, too. However, the rule of thumb “long term risks are lower” can be misinterpreted easily. It rather means that the longer you wait the more likely it is that you can achieve the awaited returns. Eg. : investing in a stock for a day may have very random results as it depends on so many factory, while investing in a stock for 5 years depends rather on the company’s fundamentals – which can also be good, or bad. It is also important, that even if long term risks are lower, it does not apply to all instruments equally – that’s why it’s worth to compare the charts we mentioned above. There are many ways to invest. If you make a long term investment, it takes time to select your instrument carefully (maybe an investment advisor can help), but after that it requires little attention. If you invest in Dow Jones, it is only up to you how often you check eg. : Dow Jones 10 year chart. In case of real estate, you collect the rent every month, check if the tenants have not damaged your property, and solve problems like repairing the lock – which take a couple hours a month. If you compare this to the way a daytrader “invests” (staring the screen for hours every day), it is obvious that long term invesments save you a lot of time. Even if daytrading is said to be quite profitable, it is rather another very stressful job, than “making your money work for you”, which we want. So what type of investments do you like? Short term, or long term?